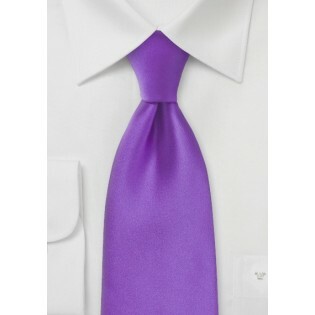 This bright purple necktie will add more life to any office environment. Although quite bright in color it is, if matched correctly, a perfect accessory for any business outfit. 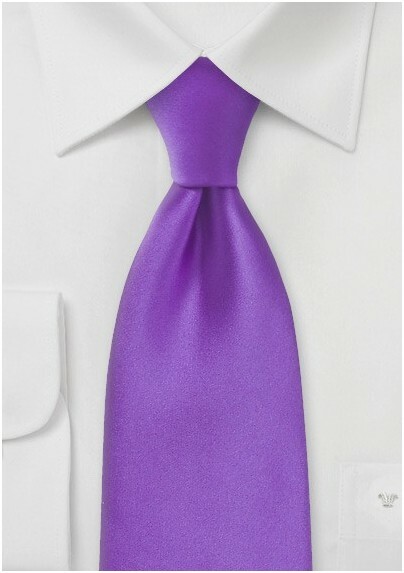 We like this tie most when worn with suits in navy, gray, or charcoal. We successfully matched this tie with many different suit color. One ensemble we picked as our favorite consisted of a navy blue pin-striped suit, classic white shirt, matching purple pocket square, and elegant black dress shoes. Made from microfiber.